It is in essence a complete rebuttal of some contemporary pseudo-Salafis who attempted to weaken this narration like: Nasir al-Albani (d. 1999), Zubair Ali Za’i (d. 2013) and their avid fellow sect members like the following who know each other – Abu Hibbaan Kamran Malik, Abu Khuzaimah Imran Masoom, Abu Alqama Ali Hassan Khan and the self styled Hanafi-Athari-Sufi, Abu Turab Ali Rida Qadri. It also addressed indirectly other diatribes made by other members of pseudo-Salafism on some forums and websites in recent times. To conclude this rejoinder to the detractors from Birmingham, it is worth summarising for the benefit of the readers, who from the past and present scholars, and writers of various schools of jurisprudence authenticated the narration of Malik al-Dar, as well as those who mentioned it without rejecting its authenticity in any way. In listing the names, we are not advocating anyone who may be branded as being a controversial writer, but merely mentioning their verdict on this specific narration at hand. iii) Malik al-Dar is not unknown (majhul), but should be considered as a type of reliable narrator based on the expressions quoted from al-Bukhari, Ibn Sa’d, Ibn Hibban and al-Khalili. While he is known as a Tabi’i, some like al-Dhahabi and ibn Fahd considered him to be a Sahabi. v) No one from the reputable Hadith scholars or jurisprudents of the past was named by the detractors to have weakened the narration from Malik al-Dar. They took their cue from the late Nasir al-Albani (d. 1999) and those who are from the same mentality in creed or jurisprudential approaches in this age after him, like Zubair Ali Za’i et al. vii) Despite al-Albani weakening this specific narration from Malik al-Dar mentioned above, it is surprising to note that al-Albani has also declared another narration via the route of Malik al-Dar to be Hasan (good) in his editing of Imam al-Mundhiri’s (d. 656 AH) al-Targhib wal Tarhib. In concluding this epistle in reply to the detractors and their like-minded writers from the same sect, the names and testification of literally dozens of scholars and writers of various schools of jurisprudence is a testimony that the narration from Malik al-Dar is free of weakness in its chain of transmission, and its wording is thus authentic (Sahih) to the vast majority. Additionally, it is strengthened by the corroboratory report mentioned in this work from the Sahabi, Anas ibn Malik (ra). The following appendices have been attached to show the reality of these detractors as opined from the advice of their late Muhaddith, Nasir al-Albani (d. 1999 CE). 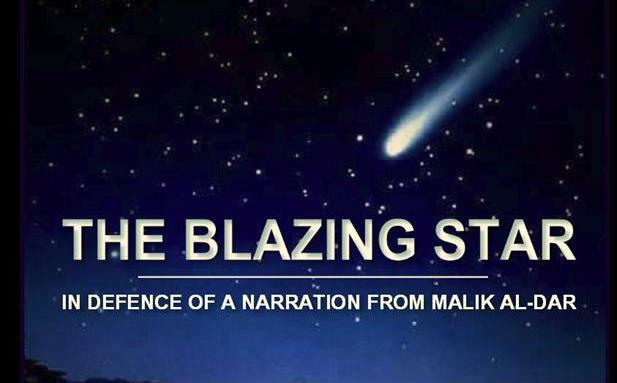 The last piece was compiled by another person from their sect who exposed the reality of one of these detractors known as Abu Hibban Kamran Malik for his reprehensible behaviour that lead him to a period behind bars.